We are a small family run business located in southern Michigan. The business was established in 2006 and continues to grow. 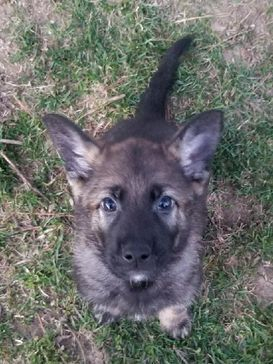 We specialize in german-line German Shepherd Dogs. 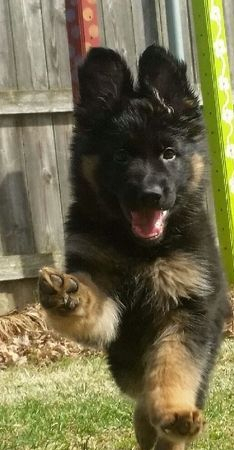 Our goal is to produce a German Shepherd that meet their breed standards and have the highest quality that can be achieved. We use only the best stock in our breeding programs. All of our foundation stock is purchased from reputable breeders and are purebred. Email us with any questions you may have. 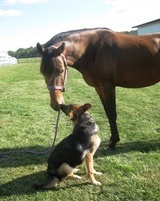 We are always eager to give advice on the animals we have or just dogs and horses in general. If we do not have what you are looking for we can usually refer you to a reputable breeder who does.